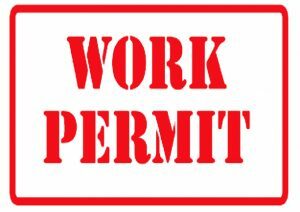 It is straightforward to apply for a work permit in Cyprus if you are a citizen in an EU or EEA country or Switzerland. The correct term for it is a Registration certificate for EU citizens and it is technically a residency permit, which provide you the same rights as a Cypriot citizen. 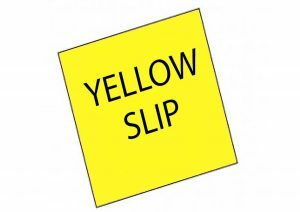 It is popularly known as the “yellow slip” as it is printed on yellow paper. No matter the what you prefer to call the document, this page includes all you as an EU citizen need to know to apply for a work permit, yellow slip, residency permit, Registration certificate in Cyprus. Note: If you are not a citizen of the above-mentioned countries, there are other requirements before you can acquire a work permit, residency or a citizenship in Cyprus. Entering Cyprus as a citizen of an EU member state, EEA member state or Switzerland is without complications. You are allowed access simply by showing a valid passport. It is only if you plan to move to and/or work in Cyprus, you will need to apply for the above-mentioned yellow slip with the Civil Registry and Migration Department. When do you need to apply for your yellow slip? You will need to apply for a work permit/yellow slip within four months of arriving in Cyprus. Even though you can wait for up to four months, we will recommend that you start this process sooner rather than later. You will be asked to provide your yellow slip at other places. Eg. when you want to open an account in a local bank. As soon as you have submitted your application, you can start your employment, while your application is reviewed and ultimately approved. It can take quite a while to get the application approved and sometimes multiple applications to get it all right. Read more on these pages for more overall information about moving to Cyprus and living in Cyprus. Meet up in person at the local immigration office to book a time to apply for a work permit. – You need to bring passports for all applicants. You will also be informed of the fee you will need to pay and provided a list of documents you need to bring for your appointment and you will be. This list might not always be comprehensive and we suggest you bring the papers mentioned further down this page. Then you visit the local immigration office on the designated day to go through and review your application and accompanying papers. The appointment can be up to a few months later! Remember to bring two copies of all documents, not just the originals. If everything is in order and all papers are approved, your application will be approved. If not, you will need to go book another meeting. If everything is in order, you will often receive the yellow slip straight after the meeting. But in some cases you will need go to the immigration office in person to pick up your certificate at a later time. Where should you go to apply for the yellow slip? You apply for work permits with the Civil Registry and Migration Department, but it is currently handled at the local immigration office in each of the districts with the exception of Nicosia. You should turn up personally at the office in your district. The offices are usually open from 8 am to 3 pm. Address: ??e??e??a? 83, Deryneia, Cyprus (unfortunately no address in latin letters. Google Maps don’t always work with latin street names in Cyprus). The immigration office is located at number 83 on this street. Remember, the first thing you do is to go to book an appointment. After that you gather all the documents and papers needed for the appointment As mentioned this period can take up to a few months, but as soon as you have booked your appointment, you are free to work and live in Cyprus. What papers and information do you need to bring? Once you have booked an appointment for a later date to have your registration certificate reviewed, it is time to start your preparations. You can ask at the reception what you will need to bring when you book your appointment, but it is a common occurrence that you will not be told the full list. And if you do not bring all the documents for the first appointment, you will need to book another one. Completed application form obtainable from department. There are three different forms depending on your situation and status of potential family members included in the application. Birth certificates for all children in English or Greek. Please note that it should be the official document or a certified translation. Marriage certificate if you are married and your wife is accompanying you in Cyprus. The same rules apply as mentioned above for birth certificates. Your rental contract or proof of purchase of a property. Make sure it includes the address. Proof of job, preferably a contract stating your salary. If you have proof of other types of income bring these as well. If you won’t be working but studying or retiring to Cyprus, read more here. The above is relevant for the “basic” application. Below here follows special considerations for immediate family and dependents (EU citizens or not), students, retirees and if you are not planning on working in Cyprus. If the primary applicant (Cyprus is a patriarchal society, so usually the husband/father of a family) is already a citizen in an EU member country, it is easy for the spouse, children and other potential dependents to obtain residency in Cyprus. The application process is the same whether they are EU citizens or not, but for non-EU citizens (also referred to as third party nationals) stricter regulations apply. It is possible to apply for the whole family at the same time as the primary applicant or it can be postponed and handled separately at a later stage. However, it is important to remember that the application process needs to be initiated (booking the appointment) within four months of entering Cyprus. If not, a fine of up to €2.562,90 can be imposed for EU citizens (new window). Non EU citizens are likely to face deportation. The same rules apply for the spouse and children of the primary applicant if they already have a citizenship in another EU or EEA country. If the primary applicant has already received his/her Registration Certificate of the EU-citizen, make sure to bring this as well. For dependants that is not spouse or children, you must bring proof of a serious medical condition that makes them completely dependant on the primary applicant. Completed application form acquired at the immigration office upon booking an appointment. Documentation of family relationship – marriage certificate and birth certificate(s) – in an officially translated version in English or Greek. Two passport sized photos for each applicant.